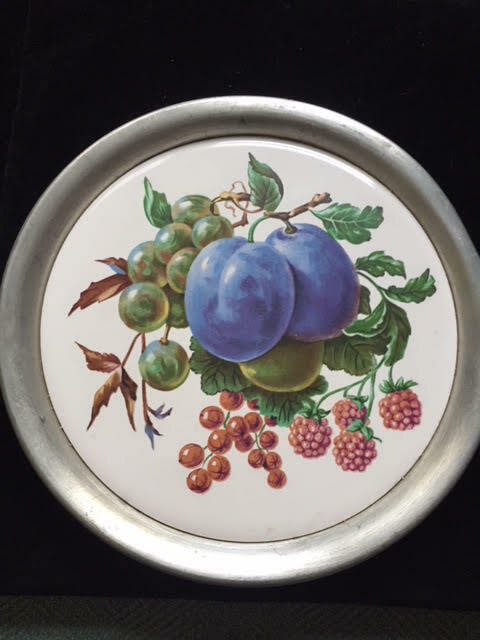 This is a lovely piece of Paris Hill Pewter, made in Paris, Maine – that unfortunately got a bit damaged as the photo shows (the upper right hand side is a bit bent). I don’t presently have any history on the company (which apparently has closed permanently) but would love to hear from anyone who does. 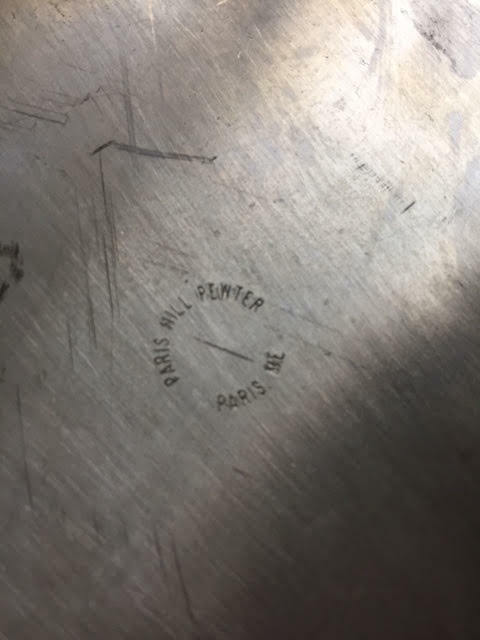 The piece comes with the Paris Hill Pewter stamp on the back. Price: $10.00 (plus 5.5% Maine State Sales Tax, of course). 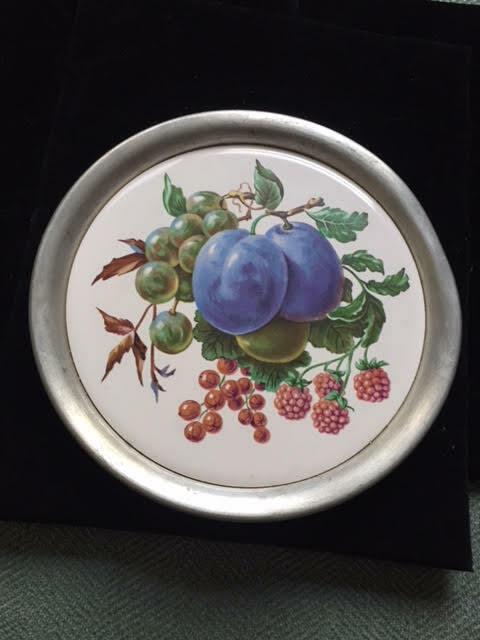 This entry was posted in Collectibles and tagged paris hill, paris hill pewter, paris maine, Pewter. Bookmark the permalink.